When frumpy senior citizen Archie goes in search of his missing son in the Spanish Canary Islands, he stumbles upon a higher mission: locating a magical cure for his ailing fourteen-year-old granddaughter, Ella. Using a portal-jumping device called the Tillastrion, Archie and a stone-headed creature named Zeno are transported to Jarr-Wya, a magnificent yet terrifying island in a connected realm--along with Ella and her strong-willed mother, Tessa, who accidentally stow away on this not-so-secret quest. What they find on Jarr-Wya is an island tortured by a wicked Star anchored in the sea, and a raging three-way battle for dominion between the stone-wielding Bangols, the fiery Olearons, and the evil Millia sands. Ella's wit and resourcefulness emerge in this new world, while Tessa is forced to confront her long-buried secrets and a confusing new love triangle. When Ella is captured, Tessa and Archie--with the help of a company of peculiar allies--set out to save her and unravel the terrible mystery of her cure. 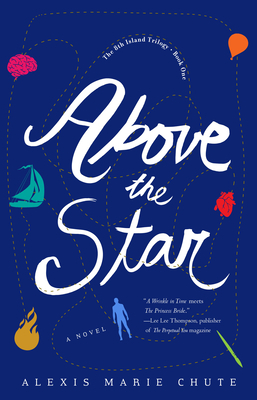 A mesmerizing, stay-up-all-night adventure of three unlikely heroes, Above the Star reminds us that even the smallest act of bravery can transform our lives and the fates of the worlds around us.